From the 20th century’s graceful ocean liners to the floating behemoths of today, what happened to the romance of ships? From Pan American’s ‘Round The World Flights’ to the flying sardine cans of today, what happened to the romance of flight? When the realism of motion picture film dissolved into soulless digital, whatever happened to the romance of cinema: the great Italian directors, idyllic Merchant-Ivory productions? As I look back on my generation, despite the terrible wars it generated, there was a kinder sense of humanity that has, for the most part, vanished into 21st century technology, money and politics. Time for a little romance. My journey to the Honduras/Nicaragua border in 1983 was for humanitarian reasons—the best of intentions at the worst of times. As a foreign service officer, once again I found myself at the epicenter of history. My government was involved in a public relations disaster known as Iran-Contra. Long forgotten, few paid it much attention even then. Legislative amendments to our Constitution were specifically aimed at preventing U.S. government assistance to the Contra rebels in Nicaragua who wanted to overthrow the Sandinista government. Although prohibited by these amendments, the U.S. sold arms to Iran to obtain the release of American hostages held in Lebanon. Then we illegally diverted the profits from those sales to the Contra rebels who were fighting to overthrow the communist Cuban-backed Sandinistas. If your eyes glaze over, so did those of most Americans, including our former President. Despite instability in the area, my bosses sent me and my camera crew to document the delivery of massive American food aid to women and children, the inevitable casualties of conflict. We checked in to Tegucigalpa’s Intercontinental Hotel at the very time hundreds of photojournalists were there to cover the Contra-Sandinista revolution. Like Saigon in the sixties, the hotel buzzed with booze and press corps, commonly mutually inclusive. Due to high humidity we spent less time at the bar, and most of the night cleaning lenses and equipment with my hair dryer. I love horses, but I’m afraid of falling so I resist riding. On this trip I had no choice. In a small village outside the capitol, we met the American who was to be our guide. Bilingual in multiple languages, he said his name was Jake, our covert contact who dropped out of the sky in a parachute (really). Along with several gun-toting Honduran compadres, mules hauling our equipment, we rode into the mountains on horseback to rendezvous at the food distribution site. One of our Honduran guides had a vindictive streak and maniacal giggle. Each time I slowed my horse when crossing rivers and streams, señor sicko rode up behind me and slapped the horse to speed him up. I vowed I’d get even, but at the end of our journey he slipped away before I could vent. While the Contra rebels were making life miserable for the Sandinistas, Jake led us through a series of tiny mountain villages, swapping his cigarettes and white rum for safe passage and tacos with pintos. Under a blazing sun and cloudless sky we managed to avoid rebel fighters and reach the refugee site where hundreds of women and children were camped. 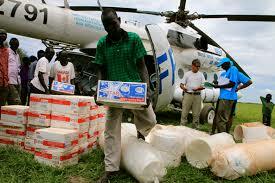 Peace Corps volunteers were already unloading supplies from helicopters. The children loved Jake and the candy he miraculously conjured. 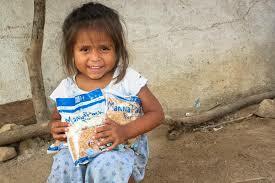 I got good interviews and great footage; moms and kids received clothing and food. Should be end of story, but the entire Copán valley is one enormous archaeology site. I wanted to see the pre-Columbian Mayan Ruins so I asked Jake if he could take me there before nightfall. Routinely in and out of Middle East and African conflicts, Jake was ‘Indiana Jones’ incarnate. He ditched the horses, commandeered a Land Rover and the race was on to beat sunset. Soon I wished I was back on my horse. When we reached the paved road it was crawling with snakes warming themselves on the hot asphalt. If we accidentally bumped one it could swing onto the undercarriage and get inside. Jake managed to avoid the snakes while I sat white-knuckled with both legs on the dashboard. By the time we reached Copán a purple sun was slipping into the horizon, tinting the 1,600 year old ruins dark mossy-green. The groundskeeper had closed the gates. Jake produced a tiny transistor radio and a carton of Marlboros. Hola! The man’s wizened face lit up and the gates of hell swung open. After our spooky encounter with the past, Jake knew where to find a hot meal in a safe place with a clean bed—along with guitars, marimbas and crackling fire. He had dropped into my life 36 hours ago. Come morning, he’d be air-lifted out. When I asked how he knew the area so well, he related months of solitary living off the land in jungle, mountain and desert. He was the clandestine archetype of novels. He didn’t worry about what anyone thought or said, he didn’t wrestle with his soul. “This is not who I am,” he said. “It’s what I do,” and I got it—which was the inevitable attraction. I never knew his real name, but what more could one ask of a little romance? Life is ephemeral, a fleeting odyssey of people, places and things that coalesce briefly then disappear into the vast emptiness of space.